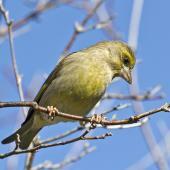 Geographical variation: The subspecies that New Zealand birds belong to is uncertain. 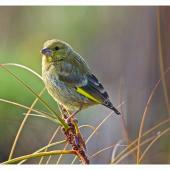 Greenfinches are the largest and most stockily built of New Zealand’s introduced finches. 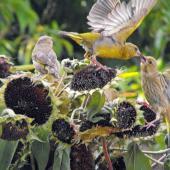 A heavy bill allows the bird to crack larger seeds than other species can manage. They were introduced from Britain by Acclimatisation Societies between 1862 and 1868, and are now common throughout much of the mainland. 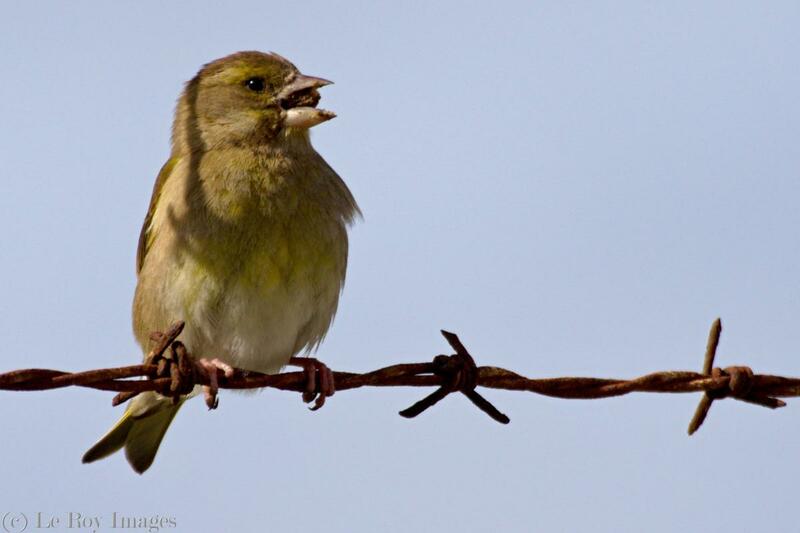 Greenfinches feed mostly on seeds, including those from a number of crops; therefore they are regarded as a pest in some districts. 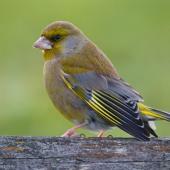 Large flocks are frequent outside the breeding season, often mixed with other species of finches. 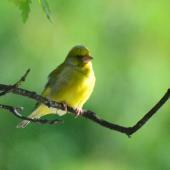 Greenfinches are similar in size to, but more thickset than a house sparrow. 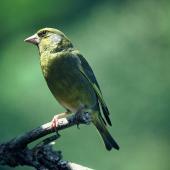 They are sexually dimorphic; males are green, varying in intensity, with some yellow on the abdomen. 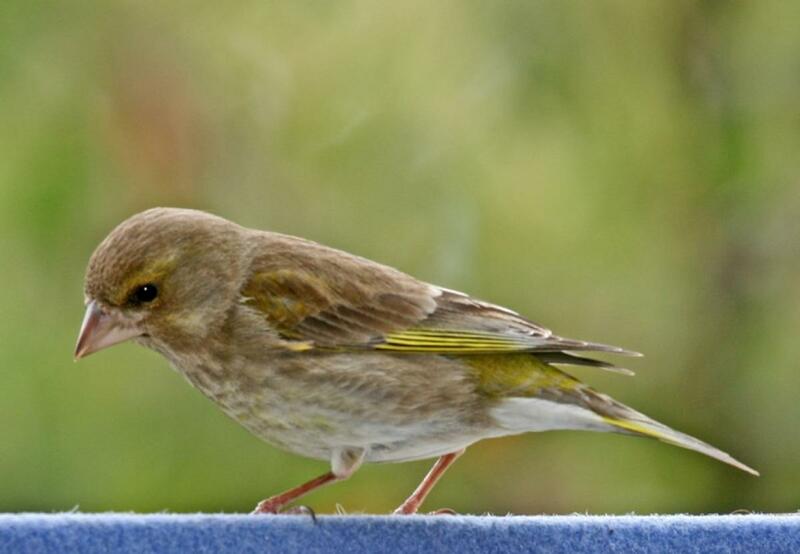 There are bright yellow bars on the leading edges of the wings. 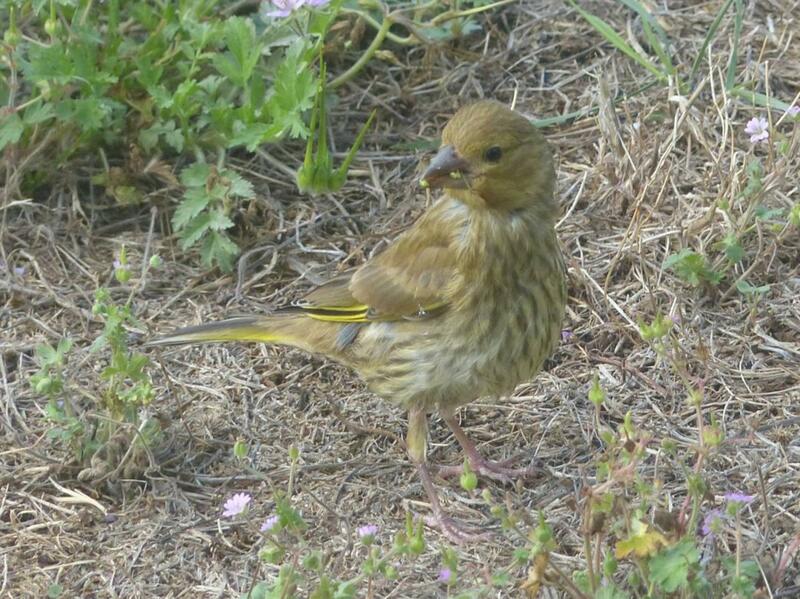 The female, by contrast, is dull and sparrow-like with little yellow on the wings. 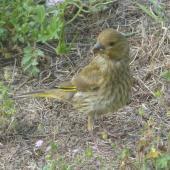 Juveniles are similar to the adult female, but more streaked. Voice: the male has a not unpleasant song during the breeding season, and also utters a loud dzweee call frequently during this time. 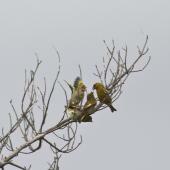 Similar species: the male greenfinch is similar in colour to both the silvereye and the endemic bellbird. 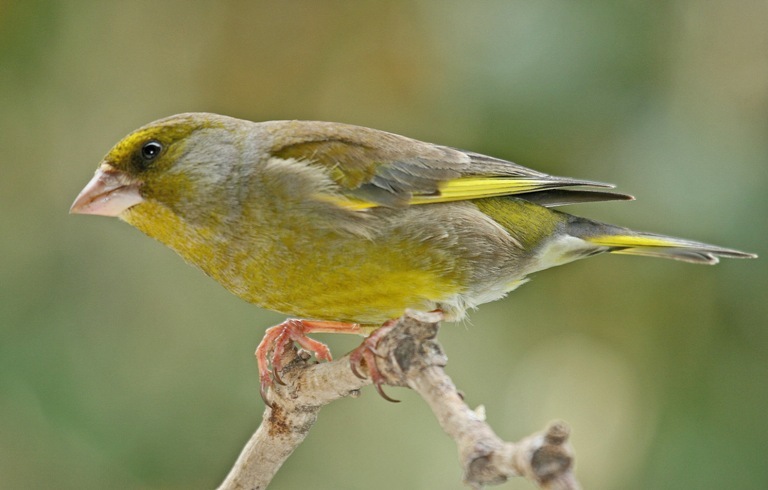 It can be distinguished from both of these by its far heavier bill, and larger size in comparison with the silvereye. The female could be confused with the female house sparrow, but is more olive-brown in general colouration, and also more finely streaked. 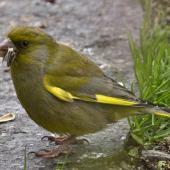 Greenfinches are widespread throughout most of the mainland, though scarce or absent in alpine areas, and areas of extensive native forest. 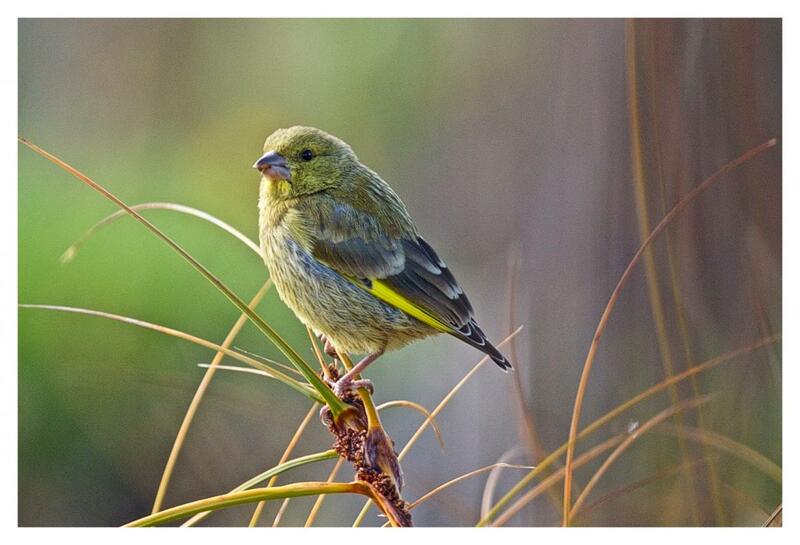 They are common along sandy beaches on the Chatham Islands and on Norfolk Island (thought to originate from birds from New Zealand), and vagrant on Lord Howe, Kermadec, Snares and Campbell Islands. 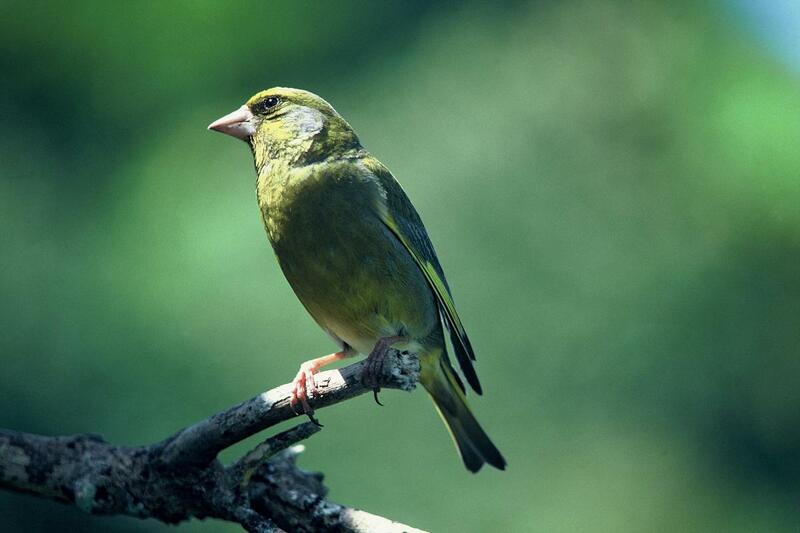 The natural range of the Greenfinch is Europe, North Africa, the Middle East and western Asia. 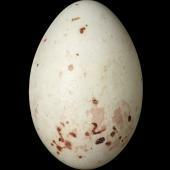 It was also successfully introduced to the Azores and eastern Australia. Greenfinches mainly occupy man-modified habitats including farmland, scrub, pine plantations, orchards and suburban parks and gardens. They are found to a lesser degree in native forests, but seldom far from the fringes. 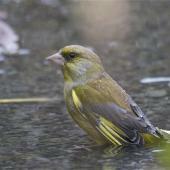 Greenfinches are locally common in both the North and South Islands, with small numbers on most off-shore islands. 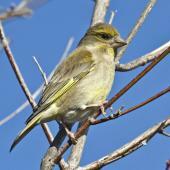 Greenfinches can be a serious pest of ripening seed crops, especially rapeseed and radish. There have also been reports of damage to cereal crops, and linseed crops are frequently targeted. They are known to attack the fruit buds of stonefruit and pipfruit trees, but rarely cause serious damage. 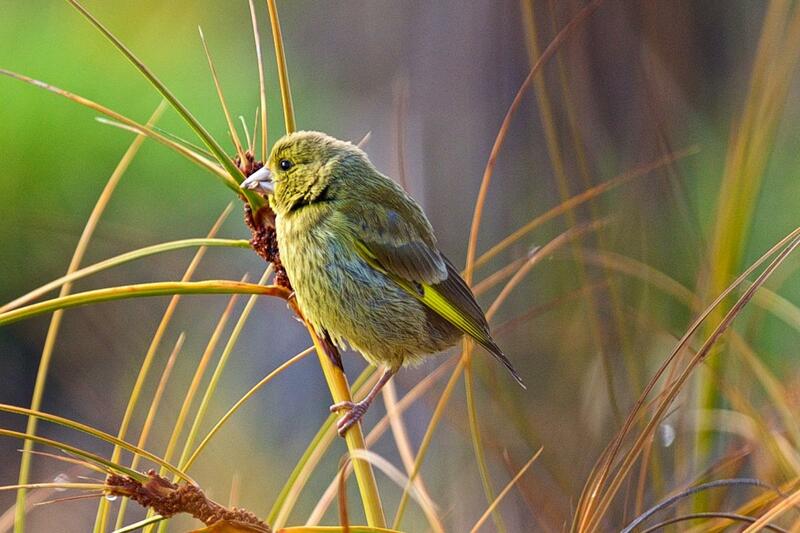 There are no reported impacts on native bird species. Greenfinches are known to eat the seeds of various native trees including beeches and kahikatea, mostly from trees near forest margins. 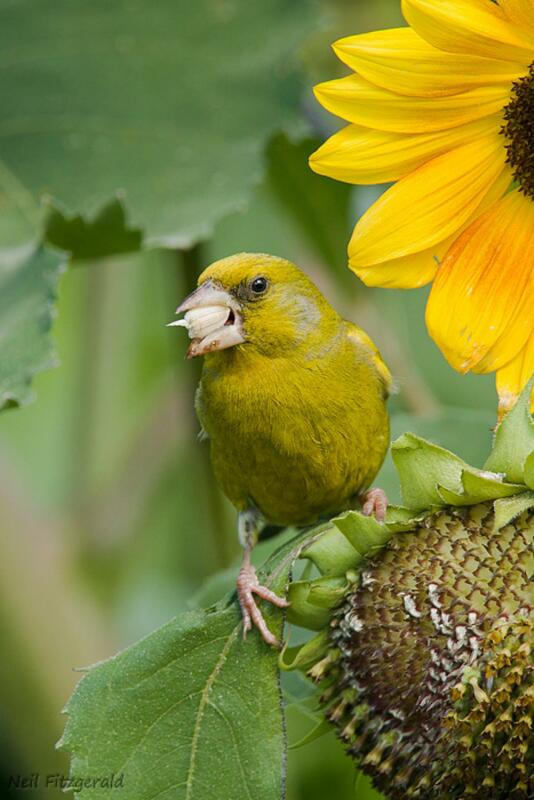 However, they are unlikely to compete with native seed-eaters such as the native parakeets (kakariki), which mainly occur within extensive forest tracts. 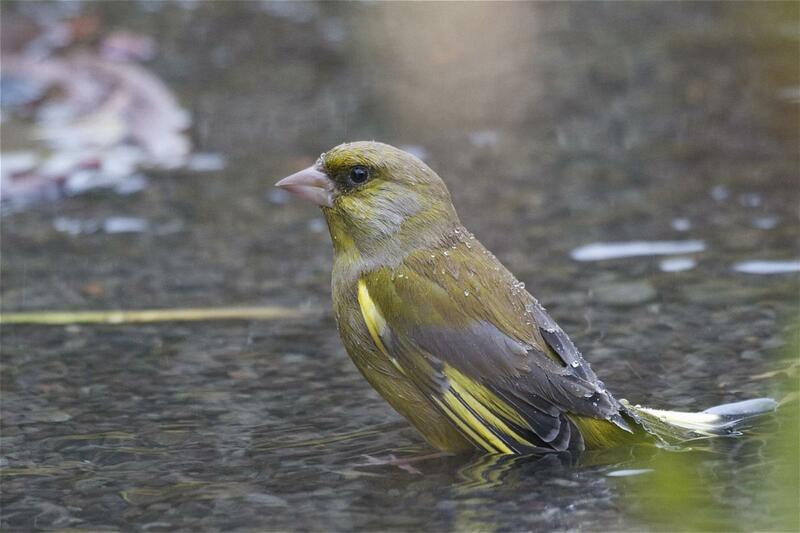 Greenfinches can breed when less than a year old, and can rear up to 3 broods in a season. They are not territorial, but do defend a small area adjacent to the nest. 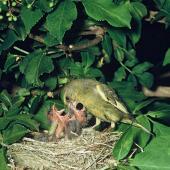 The nest is a fairly bulky structure of twigs, grass and moss, lined with feathers, hair and down. 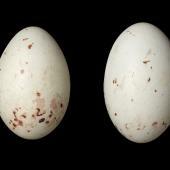 It is normally built in a tree or shrub at a height of 2-3 m. Usually 5 eggs are laid. 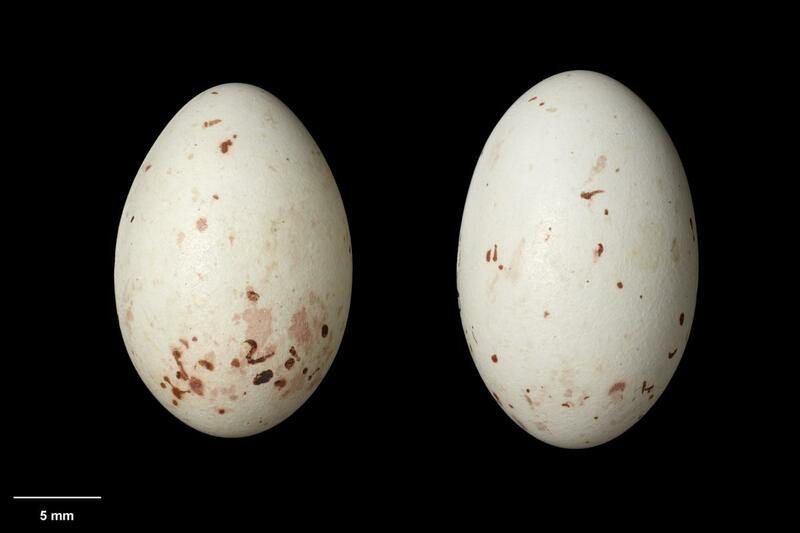 The female incubates alone, but is fed on the nest, or nearby, by the male. 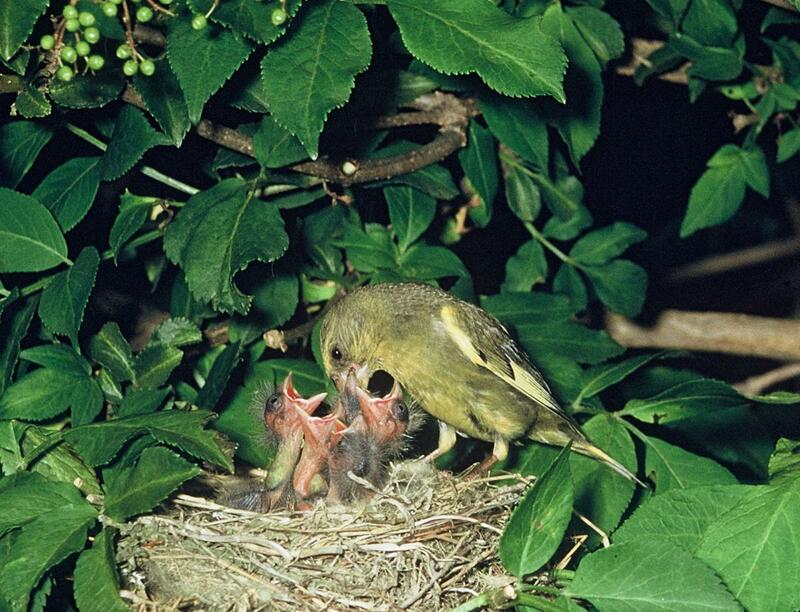 When the chicks hatch, they are fed by regurgitation on a diet consisting largely of seeds, by the female at first, and later by the male also. The chicks fledge after about 15-16 days, and are fed for a further 3 weeks or so. 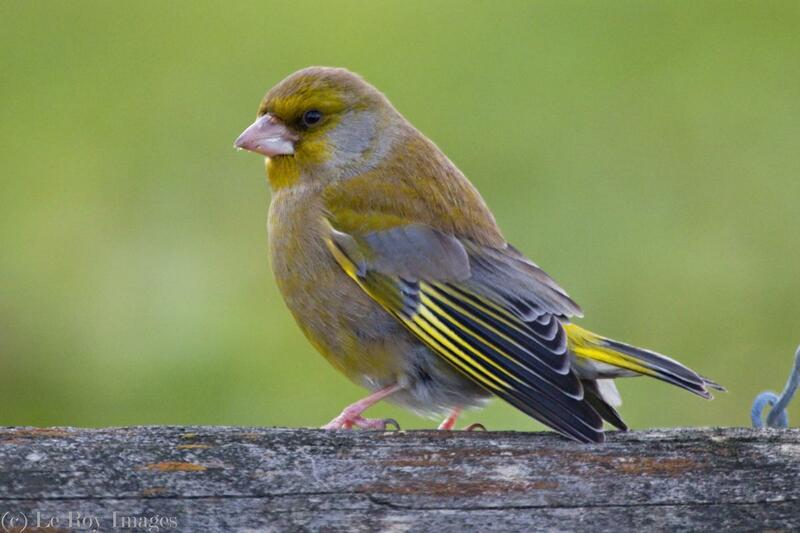 Greenfinches are monogamous during the breeding season, but forms flocks during the autumn and winter months. These flocks range in size from fewer than 10 individuals to one estimated at 10,000 birds. 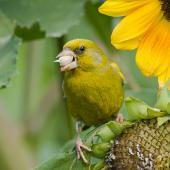 They often form mixed flocks with other finches at good food sources, e.g. annual weeds growing amongst crops. 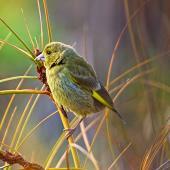 Greenfinches frequently associate with sparrows and silvereyes feeding on food provided by people in gardens. 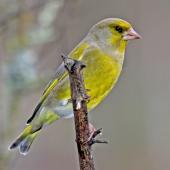 Greenfinches are believed to be mostly sedentary, but birds from the mainland have reached many outlying islands unaided. 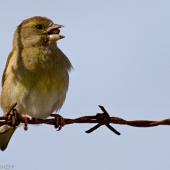 There is no evidence of regular migration, however local movements are often dictated by food availability. 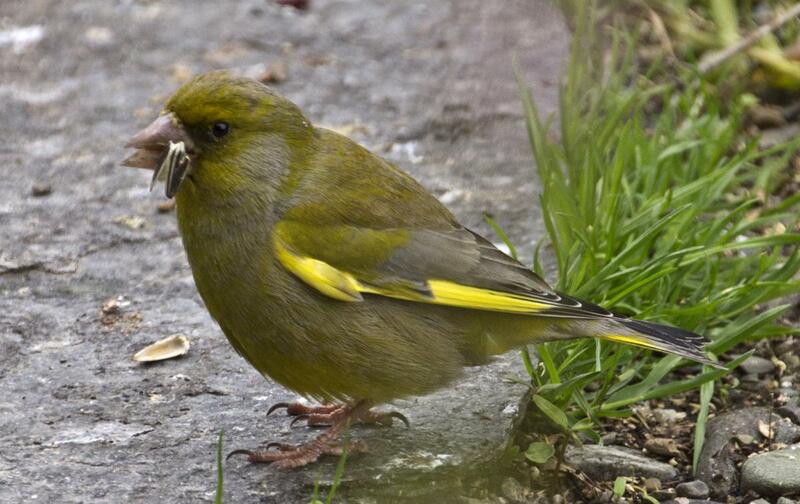 Seeds form the bulk of the greenfinch diet, and are taken from a wide range of plants, trees and shrubs. They have a particular liking for the seeds of brassicas including both wild (wild turnip and wild radish), and cultivated types (rapeseed). 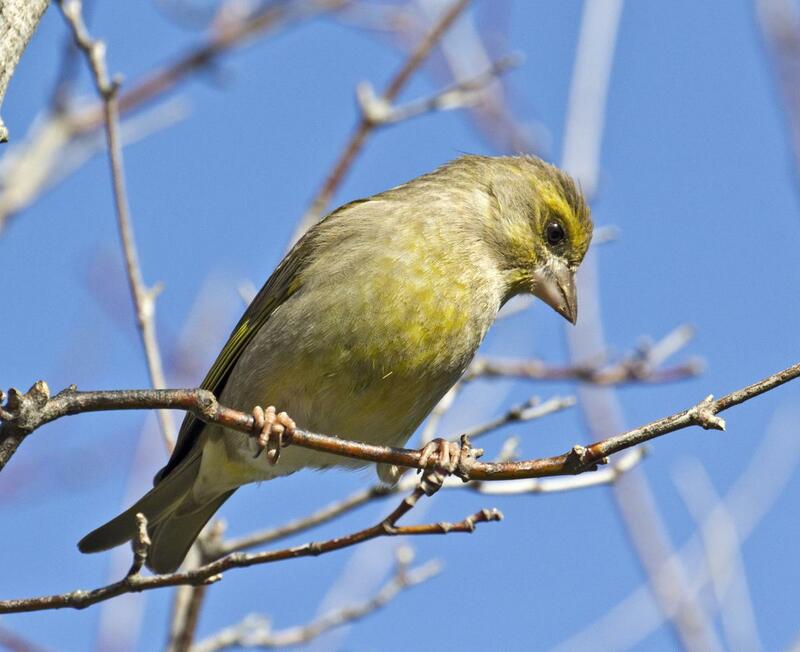 Greenfinches are partial to the seeds of Pinus radiata, taking them directly from the opening cones, or from the ground. Thistle seeds are frequently taken, mostly from the ground. However, the large seeds of the variegated thistle are extracted from the heads as they start to open. Other weed species recorded in the diet include Amaranthus, chickweed, fat-hen, dandelion, Poa annua and wireweed. 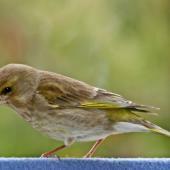 Seeds are also eaten from a range of berries, including Cotoneaster and African boxthorn. 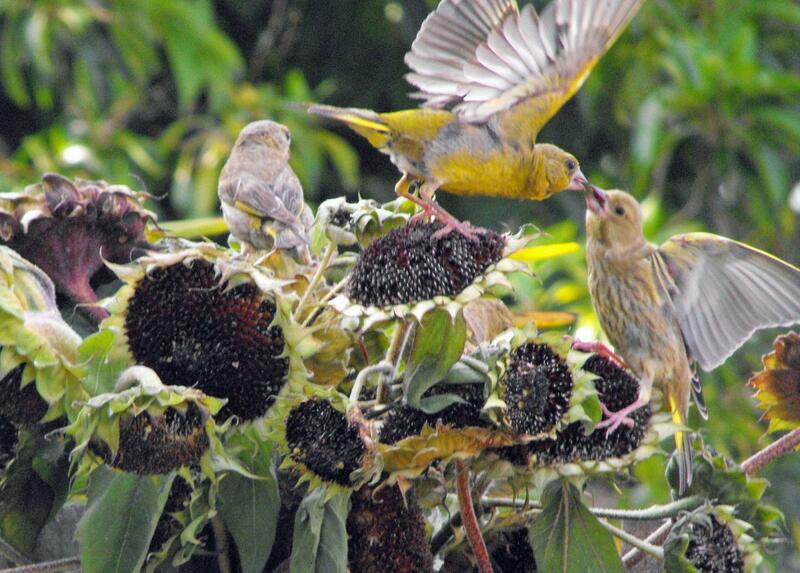 Seeds from cultivated species reported as being consumed include cereals, sunflower, maize, clover, tamarillo, kiwifruit, passionfruit and apple. 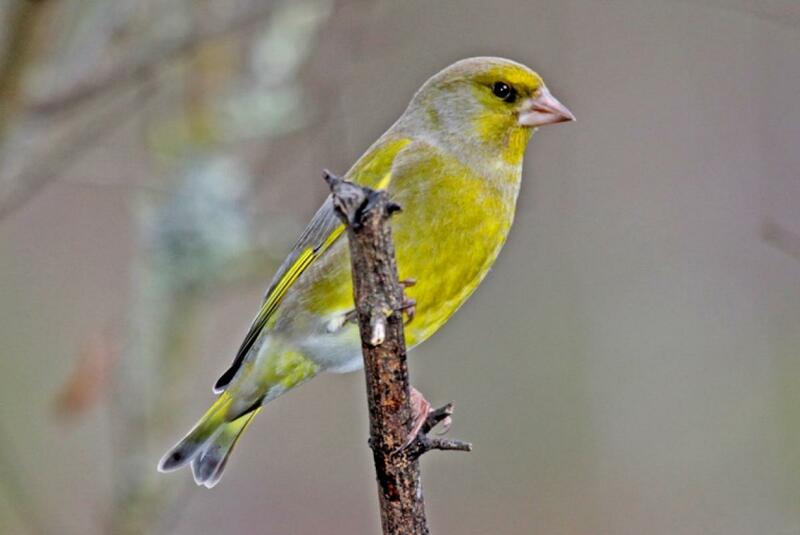 Invertebrates form a minor part of the diet; Greenfinches have been observed consuming aphids, caterpillars, moths, flies, beetles and bugs. 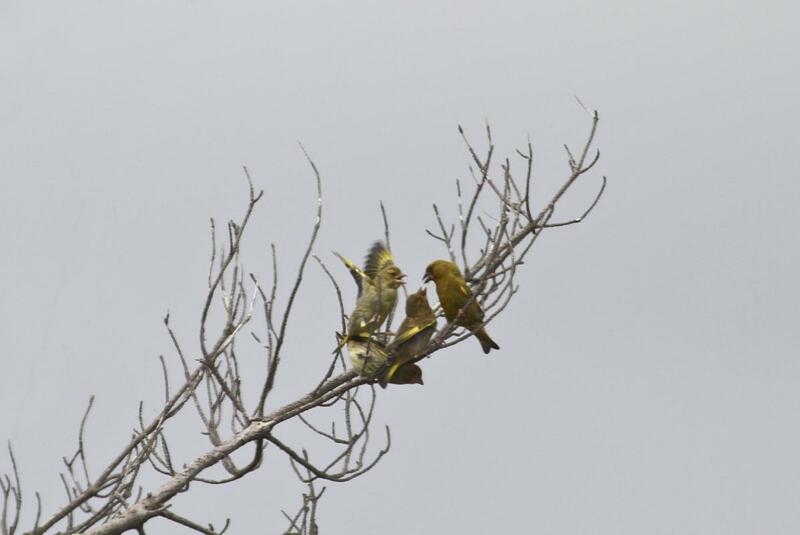 One bird was observed taking bees directly from a hive. Angus, D.J. 2013. 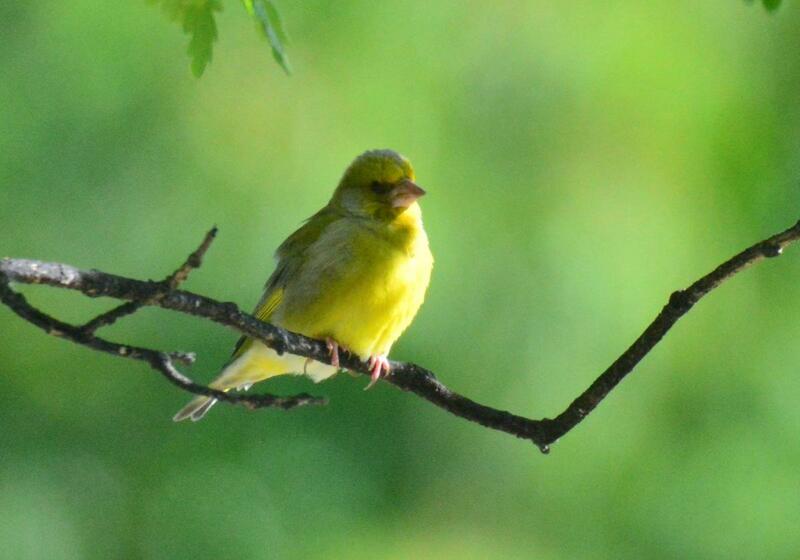 Greenfinch. In Miskelly, C.M. (ed.) 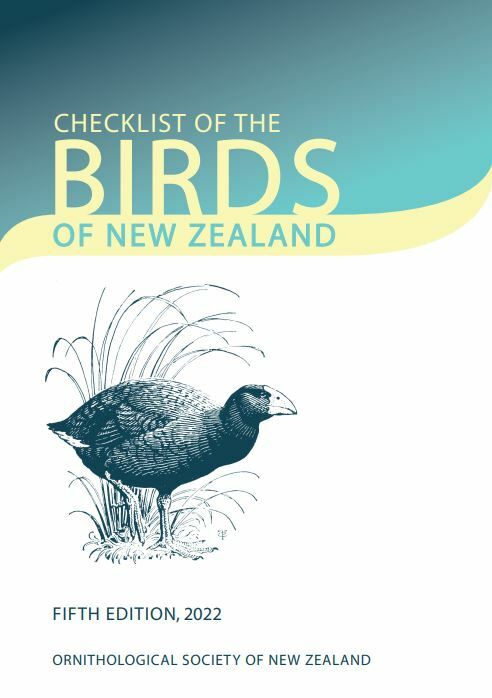 New Zealand Birds Online. A fairly bulky structure of twigs, grass and moss lined with feathers, hair and down. 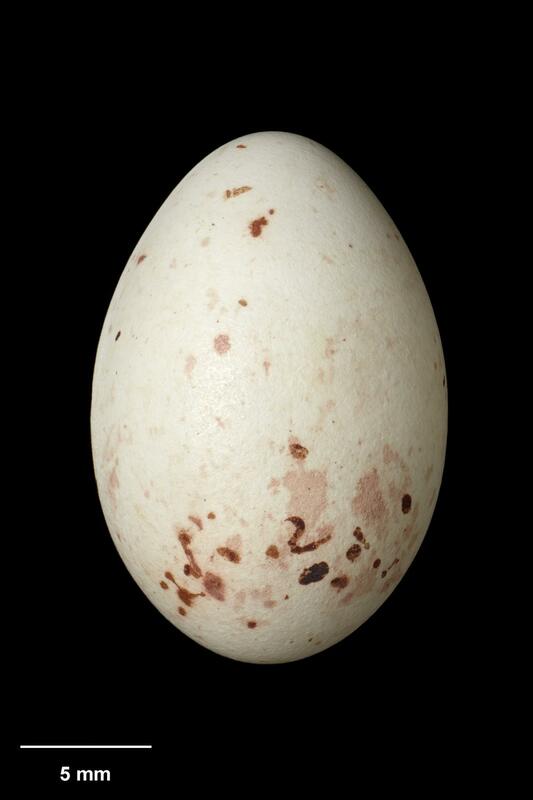 Whitish with scattered reddish or brown spots and blotches mostly at the larger end. A small songbird species in which adult males are green with yellow on the abdomen, bright yellow bars on the leading edges of the wings, a pinkish conical bill and pink legs. 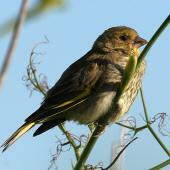 Females are duller with little yellow on the wings while juveniles are similar to adult females but with streaking on the breast.